The cost of energy is on the rise AGAIN, Now is the time to start saving money on your energy bills with Triple glazing. After two of the coldest winters on record and with energy prices rising, can you afford to ignore the benefits of BFRC A Rated triple Glazed windows? 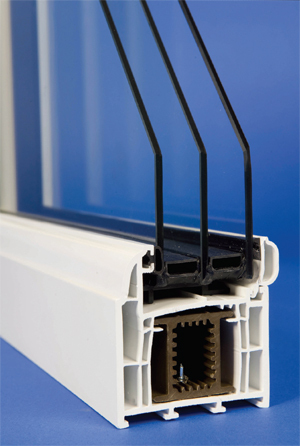 A superior product to double glazing giving better condensation resistance, energy savings and enhanced comfort of triple glazing, all at a modest incremental cost with all the additional benefits from double glazing the question is not "Why triple glazing?" the question is "Why not triple glazing?" 40% more thermally efficient than standard A Rated double glazing and 60% more thermally efficient than a standard C rated double glazing giving you extra saving and comfort for living. Centre pane of glass is toughened for added security and longevity. "you'll notice is how warm you feel and how low your energy bills are"